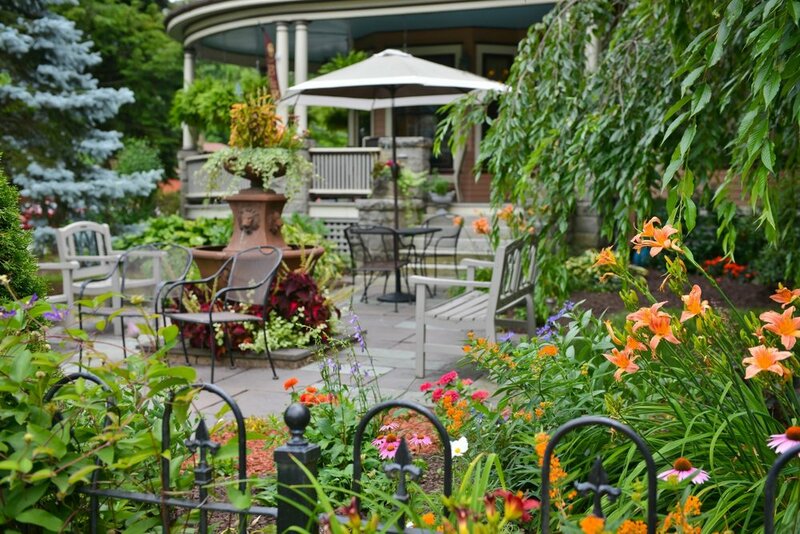 Welcome to La Belle Auberge, a grand Victorian B&B built in 1907, located on the beautiful gas-lit boulevard in the heart of Wellsboro, only minutes from the scenic Pennsylvania Grand Canyon and Rails to Trails for hiking and biking. Often referred to as the Grand Canyon of Pennsylvania and the Pine Creek Gorge, the PA Canyon area stretches for over 45 miles with depths of nearly 1,500 feet. These breathtaking views and endless green hiking trails are a haven for sportsman, hikers, and outdoor lovers. The Pine Creek Gorge is a scenic adventure offering rafting, canoeing, and kayaking in early spring and summer. USA Today cites the Pine Creek Rail Trail as one of the 10 great places to take a bike tour in the world. The 61 mile journey in the base of the gorge offers easy pedaling with its gentle grade and spectacular views along Pine Creek. The trail is enjoyed all four seasons for biking, running, hiking, cross-country skiing, snow shoeing, and more. Visitors enjoy the waterfalls, small picturesque villages, and great wild life and bird watching, including local nesting bald eagles. Wellsboro is a cultural jewel on PA's route 6. It is like stepping back in time with its gas-lit boulevards, safe small town charm, and the town square "The Green" with its famous Wynken, Blynken, and Nod statue. Wellsboro offers wonderful local Hamilton-gibson theater productions, world class classical Endless Mountain Music Festival, a beautiful full service spa, and downtown shopping and dinning. Wellsboro, the heart of north central Pennsylvania Wilds, was called a "bona fide 21st century eden" by National Geographic. Enjoy the gas lights of Main Street in your spacious and luxurious room. Enter a French garden awashed in bright sunshine from your lace dressed bay window and sunny, private porch. Enjoy the fireplace from your King size bed amidst the ambiance of the French Countryside of Provence. Enjoy the fresh air of Pyrenees on your private porch. instantly receive a 10% discount on lodging when you book with us. and unlock our “Lazy Sunday Promo” to receive a 15% discount on lodging. Make it a romantic getaway and relax in our luxurious couples massage room. It's just down the hall and available upon request. Bringing you 25 years of family experience in the bed & breakfast business with another generation of innkeepers. In 2002 Laura Lee's grandmother, Nelle Rounsaville, created La Belle Auberge as her third inn. When Laura Lee was 12 years old she learned to tie an apron around her waist and work with her grandma at her inns. In 2007, Laura Lee managed La Belle Auberge where she also started her massage practice. Guests' may remember a younger version of her daughter, Sophia, drawing portraits of the guests during breakfast. In 2012 Laura Lee and Jesse founded Emerge Healing Arts & Spa, a full service spa offering massage, body treatments, advanced skin therapy, an organic hair & nail salon, and Jane Iredale makeup. You can also browse over 20 local artists' works in Emerge's Boutique & Gallery, including Laura Lee's own hand thrown pottery. Jesse and Laura Lee have created a thriving business doing what they love. In December of 2013 Laura Lee and Jesse exchanged their wedding vows on the stairs of La Belle. In 2016, an amazing opportunity to restore La Belle as a bed & breakfast arrived. 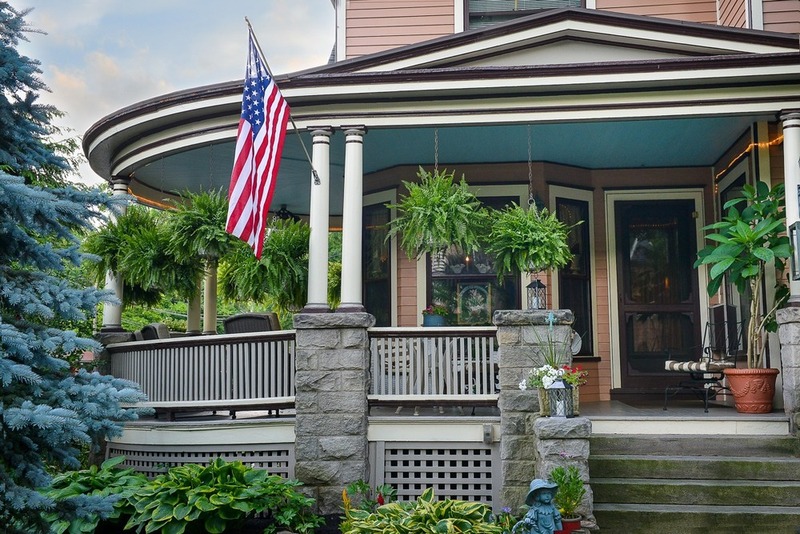 They knew this grand historic home should be shared with guests appreciating it's historic charm along the gas-lit boulevards of downtown Wellsboro. They look forward to delivering their warm hospitality to La Belle's long history of cherished guests, many of whom love and adore this grand victorian attraction and destination. Don't worry, Grandma Nelle has shared all her secrets. 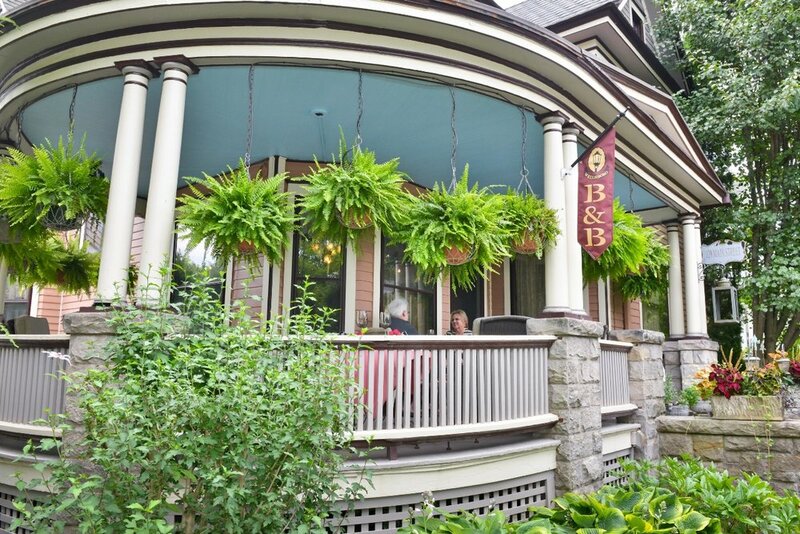 We are all delighted to carry on La Belle's rich history as your innkeepers.